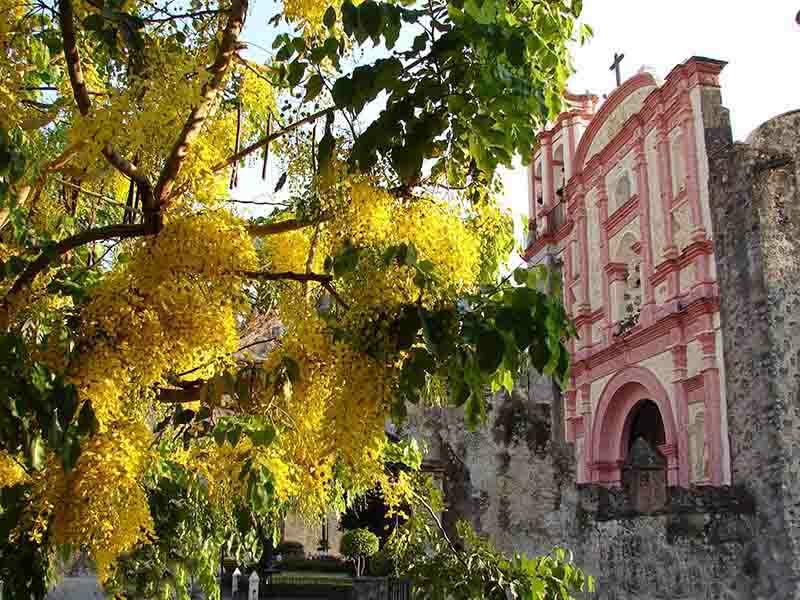 Cuernavaca, Capital of Spanish Teaching in Latin America. “Cuernavaca, Capital de la Enseñanza del Español en Latinoamerica. OBJECTIVE: The objective of the symposium was to gather important specialists in international education and tourism to exchange ideas on how to reposition the Spanish-Language Schools of Cuernavaca as engines of economic development and educational tourism in the State of Morelos. For organizational convenience, the Universidad Internacional (Uninter) coordinated the program and hosted events, but representatives of the city’s many language schools attended. Participants are thankful to the Morelos Secretary of the Economy Julio Mitre and the hands-on assistance of sub-secretary María Cristina Hernández Díaz. 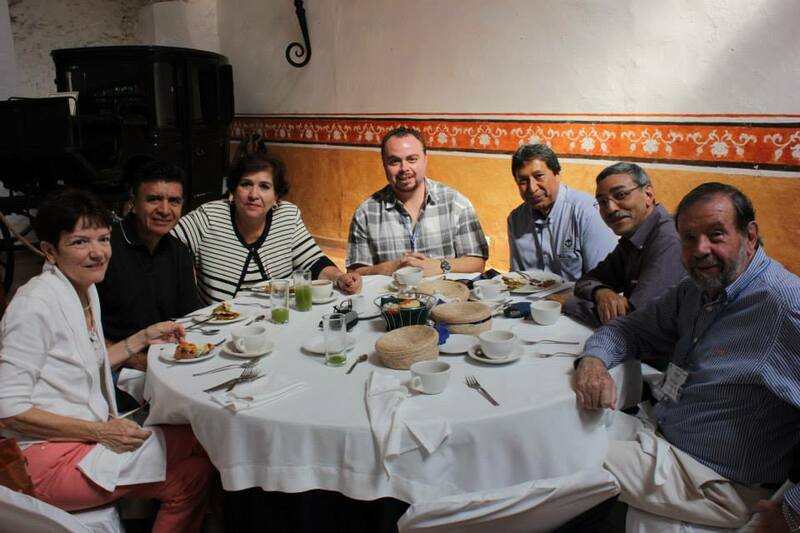 The office of the Morelos Secretary of Tourism Jaime Álvarez Cisneros assisted with arrangements for visits to important tourist sites in the city and the state. 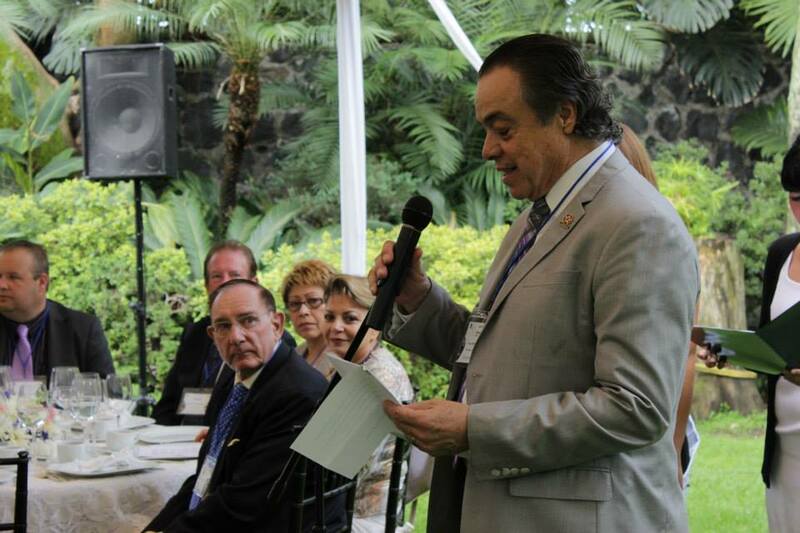 The Mayor of Cuernavaca, Dr. Jorge Morales Barud lent his encouragement and support throughout. State Governor Graco Ramírez Garrido Abreu gave his important blessing to the endeavor and sent his representative Juan Carlos Pascual Abad, Subsecretario de Economía, to welcome the guests. Professor Carlos Guzman (Uninter) did a superb job of organizing and handling logistics for the conference. INTERNATIONAL GUESTS: The guest list included visitors from the United States, Canada, United Kingdom, Japan, Korea, Belgium, and Mexico and visiting students from several other countries. They included distinguished academic leaders like Dr. Jodi Abbott, President/CEO of NorQuest College in Edmonton, Alberta, and academicians and international education directors from numerous universities like University of California- Riverside, University of Delaware, Okanagan College (Kelowna BC), Université de Mons, Belgium, Dallas County Community District, George Mason University, Kyung Hee University South Korea, and others (apologies to those omitted). Press representatives included veteran journalist Jimm Budd (Reforma, Mexico City, and other periodicals) and photo-journalist Janis Turk of New Orleans, LA. 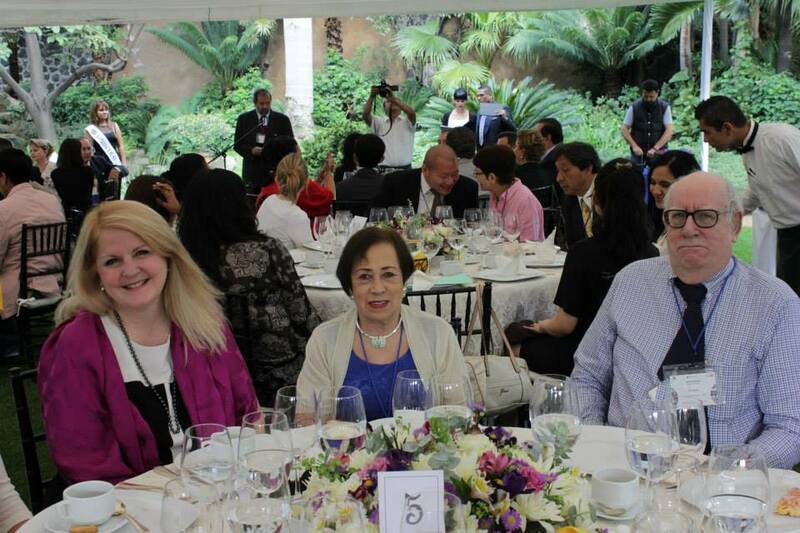 After international arrivals August 7, the program kicked off Friday morning August 8 with an elegant breakfast in the lovely garden of the Casanueva events center of the renowned Hotel/Restaurant/Spa Las Mañanitas where the guests were housed. 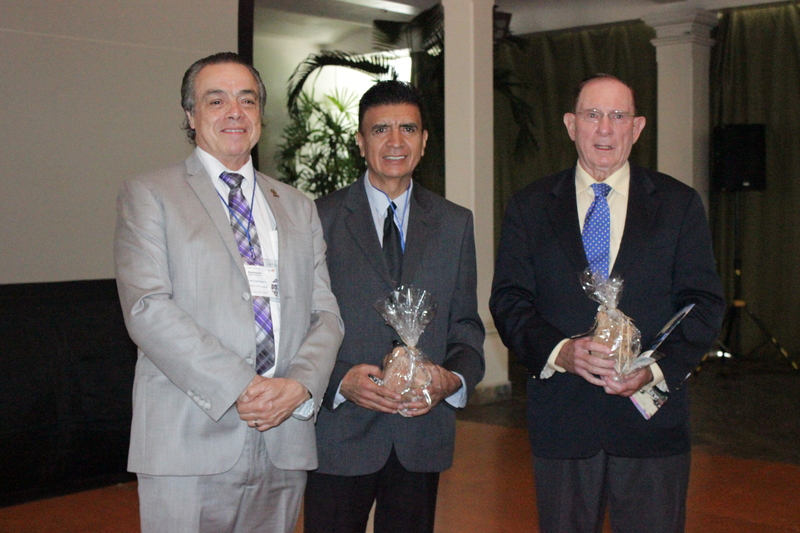 Distinguished participants, city and state officials, and language-school representatives were welcomed by Presidente Municipal Dr. Jorge Morales Barud, Juan Carlos Pascual Abad, Subsecretario de Economía, representing Governor Graco Ramírez, and Ing. Javier Espinosa Romero, Rector, Uninter. Following the elaborate buffet guests gathered in the auditorium of Casanueva for two brief videos highlighting the spectacular tourist sites of the State of Morelos. Dr. Álvaro Ramírez (Modern Languages, St. Mary’s College, Moraga California) kicked off the academic program with a scholarly account of the history and significance of the Spanish-language schools and the challenges of the past and future, with insights for new directions the schools might seek. Dr. Ramírez’s talk stimulated numerous questions and a lengthy exchange of opinions among the participants. The second speaker was Dr. James Horn, Associate Professor Emeritus, History, SUNY College, Brockport NY, a long-time Cuernavaca resident with 41 years of experience working with the language schools and tourism. He has led nearly 150 educational tours to 20 destinations in eight countries including 80 programs in Cuernavaca for Road Scholar (Elderhostel). (The text is posted below on this blog). Dr. Horn’s talk was more inspirational than informational stressing the significant legacy of the language schools and the immeasurable benefits to tens of thousands of students and tourists who have been touched by their experiences in Cuernavaca. Following the talks colorful folkloric dancers entertained the guests, followed by a catered lunch in the garden of Casanueva/Las Mañanitas. 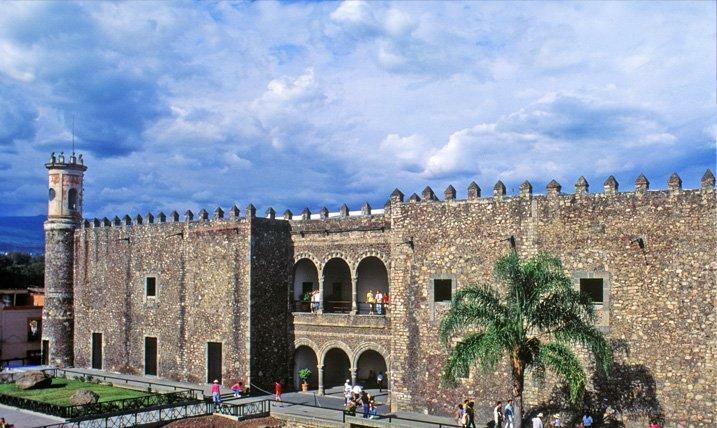 In the late afternoon,participants gathered at the Cortés Palace (Museo Cuaunáhuac) to begin a historical walking tour of the Cuernavaca’s historic center. Jamil Lases Shu of the Morelos State Tourist office kindly arranged late visits to the sites. 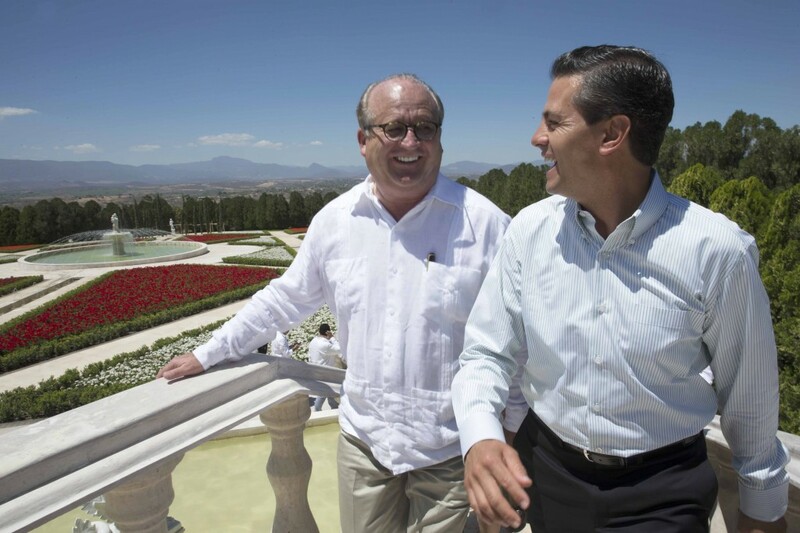 In the palace which dates from about 1530, Dr. Horn explained the famous murals painted by Diego Rivera in 1930, a gift of US Ambassador Dwight Morrow. Next the group moved on to the Museo Morelense de Arte Popular (Morelos Museum of Popular Art) for a tour of the exhibits of regional artesanías. The walking tour finished at the 16th century Cathedral, Santa María de la Asunción, including the frescos depicting Mexico’s first saint, San Felipe de Jesús. The evening ended with an elegant dinner al fresco at Restaurant Casa Rivera, in a home once owned by comic actor Mario Moreno Catinflas. Tables were set up along side the pool with its mosaic work by Diego Rivera. Saturday morning, August 9, began with the sumptuous buffet breakfast at the ex-Hacienda de Cortés in Atlacomulco. Originally the largest and most productive sugar estate of the conquistador, it is now a resort hotel and popular wedding venue. 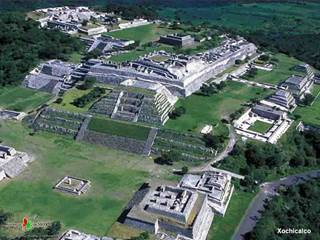 Following breakfast the group enjoyed a guided tour to the pyramids of Xochicalco, the most spectacular prehispanic ruins in Morelos, where Dr. Horn explained the history and significance of the site which flourished about 650-950 AD. The day’s excursion was topped off with a visit to the sensational Jardines de México, the largest flower garden in the world, just 25 minutes from Cuernavaca in the municipality of Jojutla, off the highway to Acapulco. The eight themed gardens covering almost 125 acres include a Tropical garden, a Japanese-style garden, an Italian Renaissance garden, a cactus garden, a labyrinthine sculpture garden, and a splendid orchidarium among other attractions. 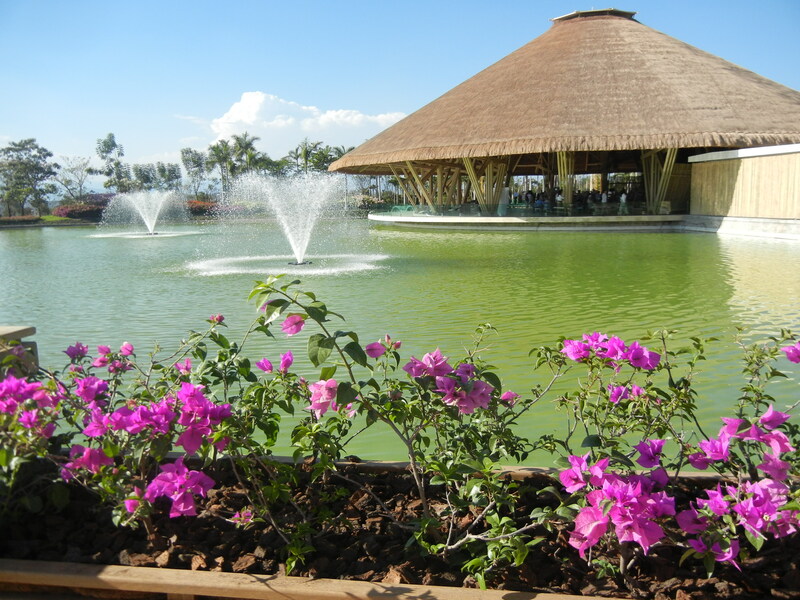 The guided tour was followed by rest, relaxation, drinks, and the enormous buffet lunch offered in the spacious Bamboo restaurant facing the colorful ponds, fountains, and bordering flowers. Covering the ex-Hacienda de Cortés, Xochicalco, and Jardines de México in one day is certainly exhausting but necessary given the short time-frame for the symposium. 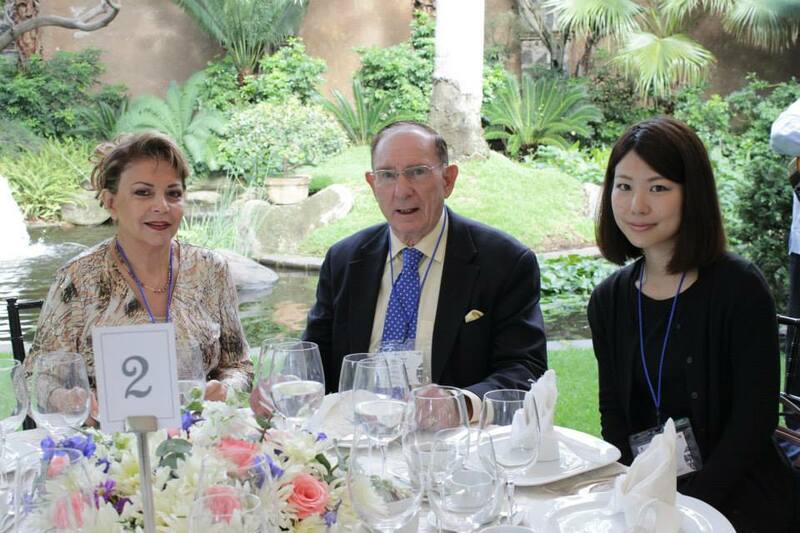 Guests had a few hours to rest and refresh themselves prior to the gala farewell banquet hosted in the garden of Uninter. Participants enjoyed a gourmet catered dinner while entertained by a mariachi group performing typical Mexican songs. Uninter rector Ing. Javier Espinosa thanked the many people responsible for the success of the symposium and joined Mayor Jorge Morales Barud and members of the city council in awarding certificates ofreconocimiento to the distinguished guests. It is hoped that the symposium is just the beginning of long-term efforts to reposition the Spanish-language schools as leaders in the economic and touristic enrichment of Morelos. Addendum: Spanish-language school representatives at the conference included Harriet Goff Guerrero (Cemanahuac Educational Community and president of AIPAC), Jean Anderson and Rodolfo Tripp (Encuentros), Selene Cortés (Ideal), Dalel Cortés ((IMEC), Leticia Becerril (Kukulkan), Francisco Ramos and Edgar Partida (ASLI), Jorge Torres (Cetlalic). Prof. Carlos Guzmán (Asuntos Internacionales, Uninter) organized the program and daily logistics, assisted by numerous staff members from Uninter including Javier Espinosa Olalde, Francisco Cisneros, Alvaro Vergara, Mary Ely Hernández, Gabriela Cobian, Rocio Torres, and Monica Enriquez. Spanish to English translations were spoken by ex-ministro & professor Nicolas Escalante.